Those with oval-shaped faces who are preparing for their microblading appointment should think about a soft, angled eyebrow. Makeup artists love oval-shaped faces because of their balance and perfect proportions. Oval-shaped faces are comparable to an upside-down egg and slightly longer than they are wide. If you have an oval-shaped face, a soft and slightly arched eyebrow is perfect for you. 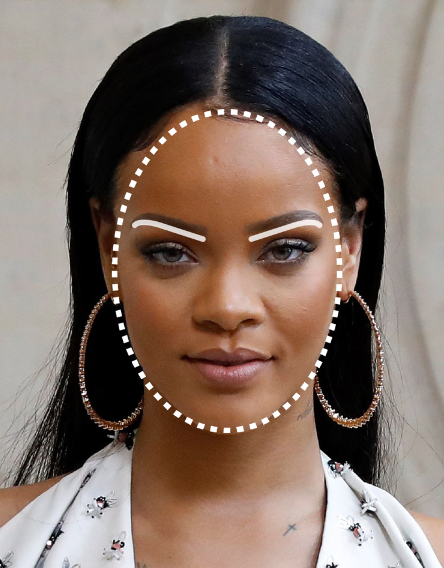 These eyebrows start by immediately curving upwards, then gently curving at the arch and then back down. These brows will perfectly compliment your already ovular face, and add a gentle touch to compliment your features. If you're considering on getting your eyebrows microbladed, learn more about the best eyebrows for your face. If you are unsure, your skilled microblading brow artist will help you determine the perfect eyebrows for your face shape.